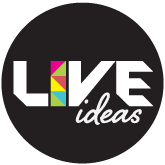 Tackling big ideas at Thursday Night Live! Thursday Night Live is an evening of provocation, dialogue and discussion held on the 2nd Thursday of the month, presented by Lismore Regional Gallery and Southern Cross University. Each month provocations are set for a panel of people who discuss and exchange ideas. Thursday Night Live is a free event and accessible event. Please contact us to request an Auslan interpreter for this event. Following the conversation will be an open Q&A session. Bar and pop-up diner open from 5.30pm. Event runs from 6pm -7.30pm.